Select Item No. 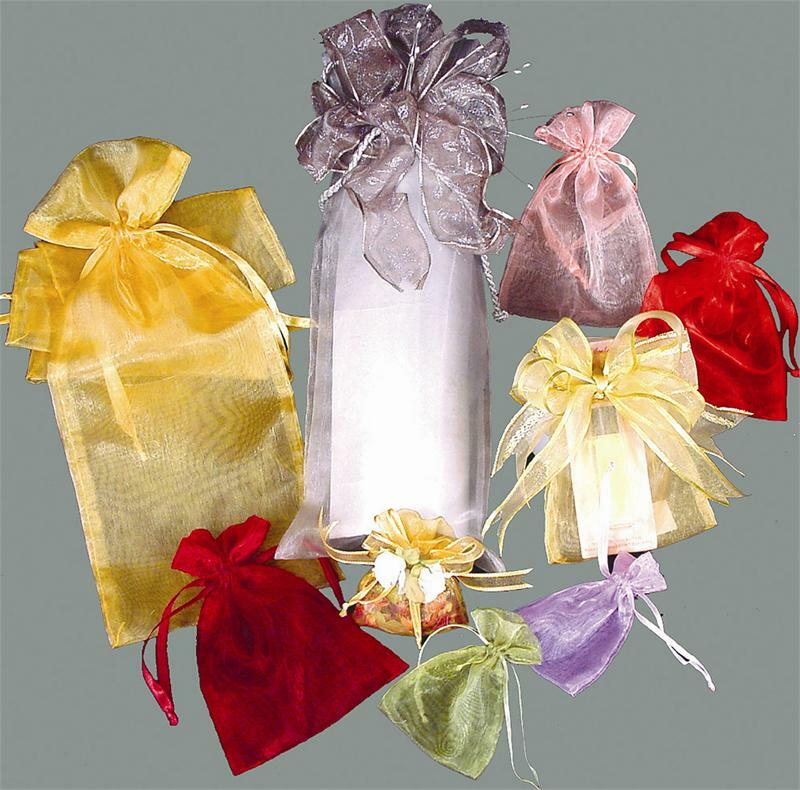 8701 -- 3" x 4" 8702 -- 4-1/2" x 5-1/2" 8703 -- 5" x 7" 8704 -- 6" x 9" 8705 -- 6" x15"
These organza pouches are ready to use as a wedding favor, party giveaway, or gift it's sheer and see-through finish allows you to present the contents of the bag beautifully. 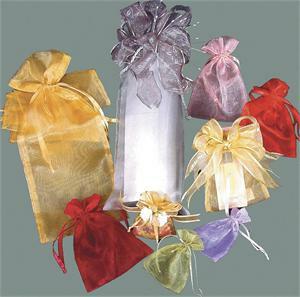 To close the bag, simply pull the built-in satin double ribbon pull ties with knotted ends.